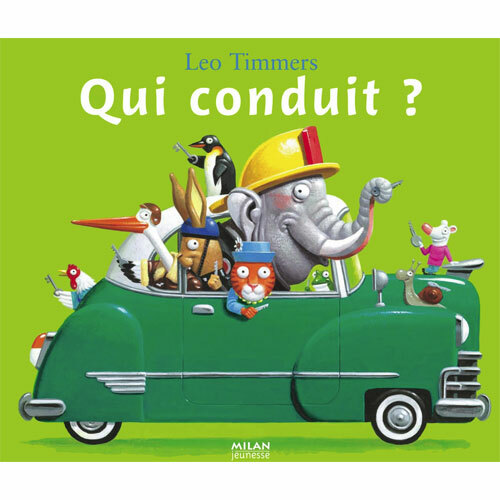 This is a lovely, simple story that is great for teaching animal names and transport vocabulary in French. Can you guess which of the animals will drive the fire engine? The race car? The tractor? Will it be the elephant? The hare? The pig? But where are all of the animals going and more importantly, who will get there first? Qui conduit? is written entirely in French and is aimed at native French speakers aged 3+. 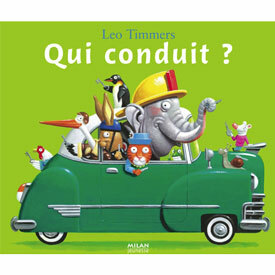 The French is very simple and this is an ideal choice of story to share with French beginners. There is lots of repetition of the phrase "qui conduit....?". Great little book with lovely illustrations. I used it with nursery as a follow up to teaching transport and animals. They loved guessing which animal was going to drive which vehicle. I will use it with my key stage one classes too. Bought for English toddler, so good I'm tempted to keep it myself.! Amusing, bright and easy enough to use with a minimum of French, I think it will become a real favourite with the child and parents.